Energy trade association, The Federation of Petroleum Suppliers (FPS), is working hard to highlight the potential impact on the industry of the Government’s strategy to reduce emissions from road transport and red diesel consultation by putting forward its members’ views to The Road to Zero: Next steps towards cleaner road transport and delivering our Industrial Strategy, and by submitting evidence to HM Treasury – Non Road Mobile Machinery & Red Diesel. 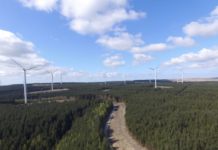 The Road to Zero strategy encompasses all vehicle and fuel types, zero emission solutions for vehicles and carbon reduction schemes, and is a policy the FPS supports in principle. 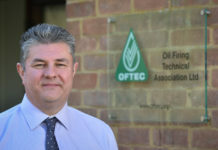 Whilst, the consultation on non-road mobile machinery (NRMM) and red diesel called for evidence on the use of rebated gas oil (often called red diesel) by NRMM and to understand why users aren’t switching to cleaner technologies. It affects mainly those using construction equipment and excludes use for agricultural purposes and for fishing vessels. 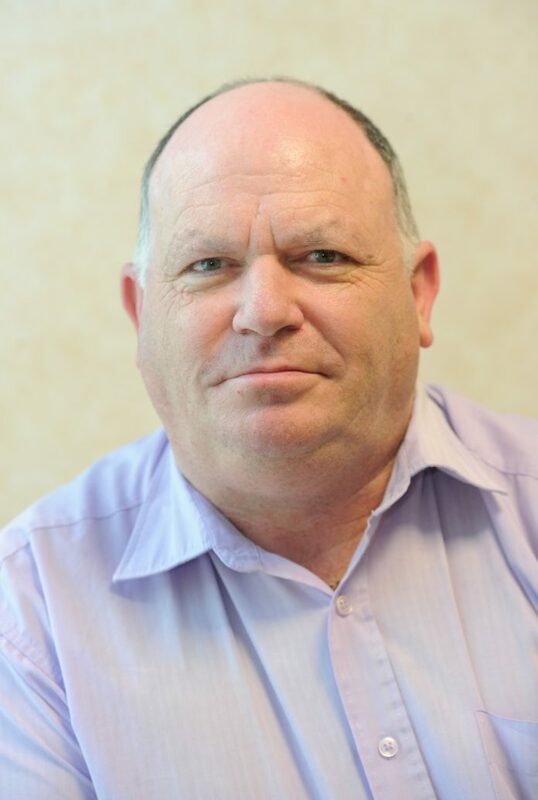 “The FPS has always acknowledged the need for carbon reduction and recognises now the need for the Road to Zero strategy and for the debate on red diesel and whether there’s a greener alternative,” says Tony Brown, FPS Technical Manager. “We will continue to work with the Government on the Road to Zero strategy and the NRMM and red diesel call for evidence, to highlight the importance of the fuel distribution sector in achieving its carbon reduction goal for road transport and to support the implementation of low emission zones. FPS members are responsible for the movement of 80% of all fuel deliveries in the UK, including to domestic customers, agricultural, marine, and commercial sites for power, heating and transport fuel. 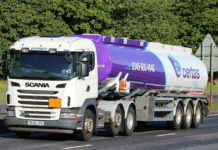 “In addition to supplying the fuel to homes and businesses, many of our members supply red diesel to power the vehicles and machinery used in the construction industry – so both Government initiatives will impact on a wide range of industries and not simply the fuel distribution and road haulage sectors,” adds Tony Brown. “It’s important the Government works with and supports our members, so they can facilitate the change without undue penalty – and without affecting the economy through an inability to meet the heating oil or red diesel supply needs. “Our members have already adopted measures to cut carbon and meet the lower emission targets by upgrading to the new Euro 6 engine when replacing vehicles. We’re urging the Government to consider exemption for all Euro 6 compliant vehicles as they are the cleanest tankers on the roads, or to introduce a graduated clean air zone levy in order to encourage all hauliers to do their bit to improve air quality. “We want to ensure the local authorities don’t rush to implement low emission zones before considering the full impact of this on haulage companies and fuel distribution companies who all deliver into the local economy and are already committed to carbon reduction initiatives – the haulage industry, including FPS members, has already halved its NOx emissions in the last 4 years. “In our evidence submission on behalf of our members, we highlighted the fact diesel engines’ NOx emissions can be reduced by lowering the combustion temperature and that exhaust gases can be scrubbed with chemicals like sodium hydroxide or hydrogen peroxide to react with NOx gases and remove them. Construction equipment could also be improved by moving to the same specification of Euro 6 engine that many of our members’ tankers now have, to help cut emissions of red diesel. “Another major consideration in the implementation of plans to decarbonise our roads is the amount of fuel duty currently paid and what the deficit in duty will mean for the economy. It is estimated that the duty paid on fuels, either as import duty or fuels duty paid by the consumer, will be £28.2billion in the UK for 2018-19, and the Government must address this deficit during the transition phase to decarbonisation. “Ultimately, we need a clear pathway on how emission targets are to be achieved, rather than regulation. For example, the reduction target of HGV emission of 15% by 2025 must come with strong guidance for the industry including the opportunity to monitor CO2 emissions and to further develop new technology to control exhaust emissions and improve fuel quality, together with incentives to support the strategy. “Carbon reduction measures must ensure the industry remains safe and every factor needs to be considered before it’s implemented. This includes new technology for HGVs, including in terms of dangerous goods in transport, and the continued safety of oil industry terminals. “With regard to red diesel, we believe there are good options already available to improve emissions with opportunities for greater improvements in the future. Additives could be used as well as biofuel, to help hit Government emissions targets while the industry develops further cleaner technologies. “The Government indicates an energy taskforce is planned for the implementation of its Road to Zero strategy and we ask that the FPS is included in any discussion or development talks, so we can continue to be engaged in anything that impacts on the transport of fuel safely and oil distribution industry as a whole.